The Tampa Bay Rays had an excellent, under-the-radar 2018 season, winning 90 games. However, not too many people noticed, with the Boston Red Sox (108 wins) and New York Yankees (100 wins) each winning 100-plus games in the same division, and with the Oakland Athletics (97 wins) getting the second AL Wild Card berth. Thanks largely to the Red Sox and Yankees, the Rays were once again a bit of an afterthought entering the 2019 season. But through six games, here they are playing terrific baseball again. The Rays have a 5-1 record and have won five straight games. In the six games, the Rays have only allowed a total of 10 runs, and have an MLB-best 1.67 ERA. And over the last four games, the Rays have allowed one run or fewer in every game. #Rays win 4-0. That's five straight wins. Four straight games of allowing 1 or less runs. Tampa Bay ace Blake Snell took things to another level on Tuesday night. 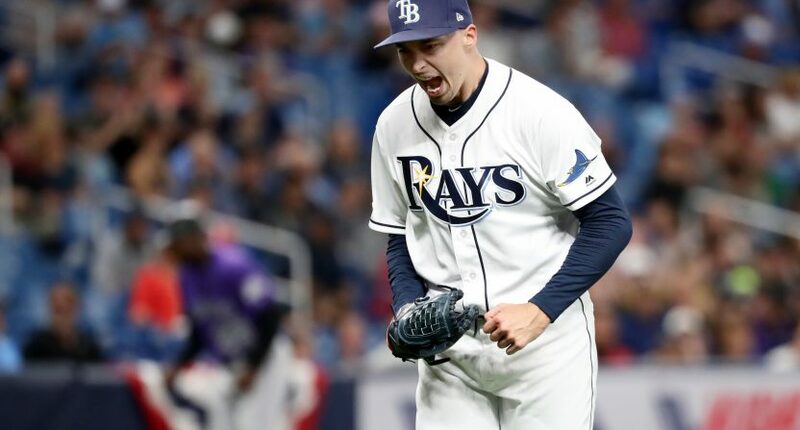 The 2018 AL Cy Young winner threw seven scoreless innings, allowed just two hits and one walk, and struck out 13 batters in the Rays’ 4-0 win over the Colorado Rockies. The left-hander was filthy. Blake Snell, 84mph Changeup (off the plate/swinging strike) and 87mph Slider (Backwards K), Overlay. It’s very early, six games is a tiny sample size, and the Rays won’t continue their run prevention anywhere near *this* level. But so far, we’re seeing Tampa Bay carry over their success from last year, and it’s probably time to stop doubting them. Keeping up with the Red Sox and Yankees all year will be difficult, but they should at least be viewed as the favorites for the second AL Wild Card slot.